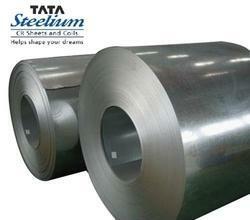 Offering you a complete choice of products which include cr coils, sail cr coils and tata cr coils. In order to retain remarkable position in this industry, we "SKMK STEELS LLP" are providing a wide array of Cold Rolled Steel Coils. 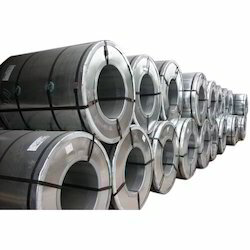 Backed with huge industry experience and market understanding, we "SKMK STEELS" are involved in providing a wide variety of SAIL CR Coils for our valued patrons. Used in automobile and fabrication industry for various purposes. Coils are first packed with paper and high-density polythene and then secured with steel strapping. A coil is strapped with three eye and two circumferential straps. For identification, one sticker and one metallic tag with a sticker are provided. These are then loaded into wagons with the eye of the coil in horizontal position. Coils are then unitised by strapping. These are packed in packets of 3 - 10 tonnes each and covered with high density polythene and paper. Thereafter, these are bound with steel straps. They also have stickers inside the packets and metal tags attached to the strips. Tata Steelium recently rolled out High Performance CR Steel in its first ever brand extension, Tata Steelium Neo, to meet the demand for higher quality stringency in Auto, Panel and Furniture segments. Drawing on a rich heritage of integrated steelmaking experience, it now offers customers an enhanced basket of products for advanced applications. Looking for Cold Rolled Coils ?